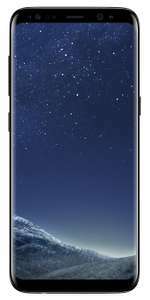 Pretty decent price for a brand new S8 from a reputable seller. Is the S8+ too heavy/large? For just £40.50 more you can buy the S8 Plus in Orchid Grey from Amazon. Better battery life, bigger screen. For me, this is another S6, i.e. another design change and lots of mistakes with it. The S9 is everything the S8 should have been. Too expensive for a flawed phone in my book. For me, this is another S6, i.e. another design change and lots of …For me, this is another S6, i.e. another design change and lots of mistakes with it. The S9 is everything the S8 should have been. Too expensive for a flawed phone in my book. SHOULD I BUY SAMSUNG GALAXY S9? The Galaxy S9 is a welcome upgrade over the Galaxy S7, but there's nothing here that would make us rush out to upgrade from a Galaxy S8. The camera has been improved and there are new speakers, and there will be some enhancements to performance and battery life with a new processor, but the design is largely the same and the price significantly higher. And yet:SHOULD I BUY SAMSUNG GALAXY S9?The Galaxy S9 is a welcome upgrade …And yet:SHOULD I BUY SAMSUNG GALAXY S9?The Galaxy S9 is a welcome upgrade over the Galaxy S7, but there's nothing here that would make us rush out to upgrade from a Galaxy S8. The camera has been improved and there are new speakers, and there will be some enhancements to performance and battery life with a new processor, but the design is largely the same and the price significantly higher. And yet, they still put the FP scanner in the wrong place on the S8. Personally I would have checked that out before I parted with my £335! Wow that is a very high price for an s8. Any other questions about the S8+? I think it's worth waiting until mid August if possible. By then the release of new phones may create even better deals for the S8+.